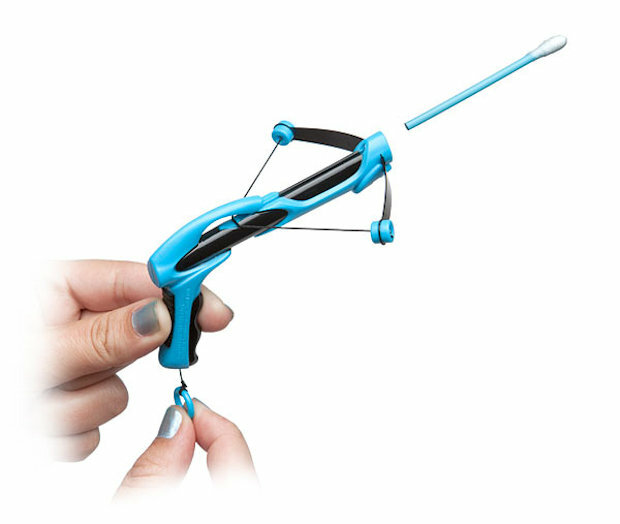 Office Warfare: Q-Tip Crossbow | OhGizmo! You’ve been wanting to get back at Tim from accounting ever since he covered your seat in Scotch Tape, but unsure how? 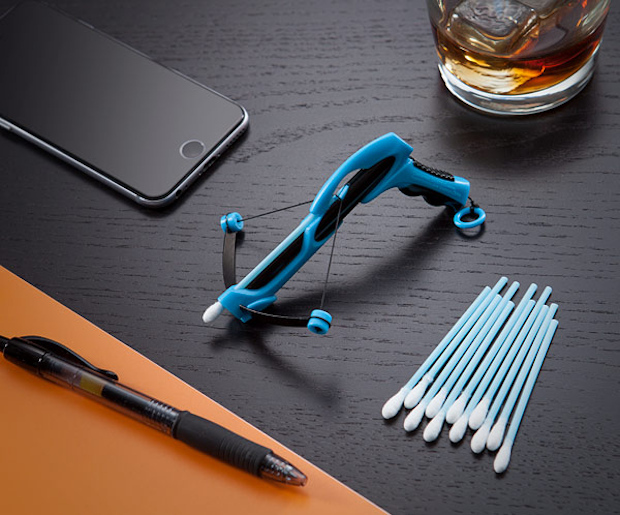 The Q-Tip Crossbow is just the right type of weapon for this job. Just crank it, place a Q-Tip and pull the trigger cord. You’ll hit your target up to 20ft away, and Tim will never be able to get upset at you because, well, it’s paper and cotton for crying out loud. Some assembly is required and it comes with 25 Q-Tips, but it’s not like you can’t buy 1,000 for $5 at Costco or anything. It’s $10 from Thinkgeek.